Wallacetown FairRecord Owner? Log in. Dates are September 26, 27 and 28th, 2014. Friday night line up is Guiness World Book of Records attempt of Most People Performing a Duck Call. Also on Friday night is the Ambassador Contest and Let's Make a Deal Wallacetown Style. Win money and prizes. Come dressed up if you want to play! Saturday we have Dotsy the Clown, The Ultimutts, Mike D'Urzo ( International Award Winning Magician) Chainsaw Wood Carvers, Baby Show, Beef Cattle Shows, Midway, Parade, The Redneck Chef Terry Tew, Cooking with John and many more. 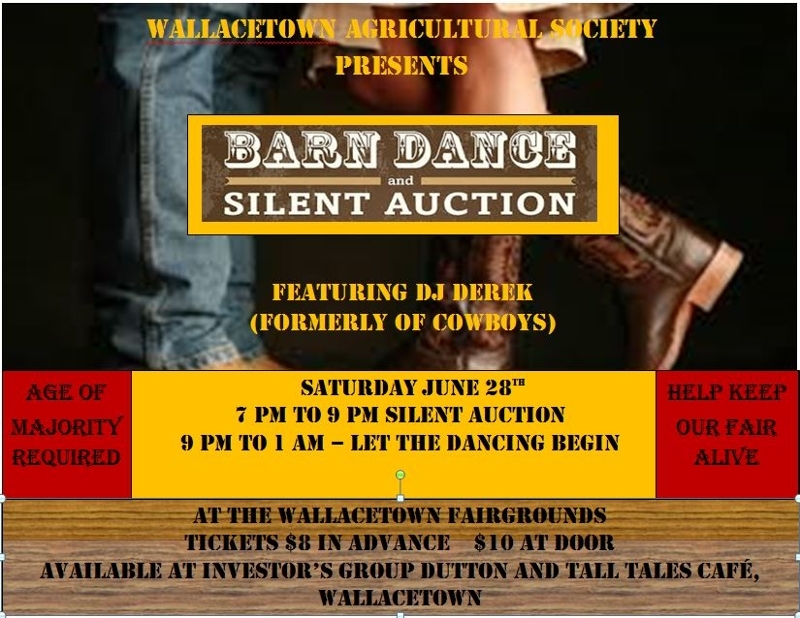 Saturday Night has the ever popular Tractor Pull - starts at 7 pm and Wallacetown's Got Talent. Call Anna Tokarz at 519-762-2617 to register. Sunday we have Multi Canadian and American Fiddler Champion Shane Cook and the Demolition Derby. Sheep Show starts at 9 am in the 4-H Barn. Midway has special advance ticket sales to save you money. Click on the website for further info. Have something to say about Wallacetown Fair?